Has your head ever hurt so bad that all you can do is rest in a dark room with a pillow over your face? Frequently, trauma from a car accident leaves drivers and passengers suffering with tortuous headaches and migraines. The go to treatment in this situation for most sufferers is to reach for the medicine cabinet and wash down some Ibuprofen. In the event this does work, relief only lasts a few hours at max. What most auto accident victims fail to realize is that the twists and contortion they withstood upon impact injured their spine and soft tissue that’s causing their headaches. While a pill can’t fix these underlying issues, we can! We utilize therapeutic intervention to gently readjust vertebrae to restore the back and neck’s natural curvature. His techniques are precise and effective for alleviating tension. Oftentimes these adjustments are accompanied with exercises and stretches. This comprehensive approach allows for natural healing to occur. 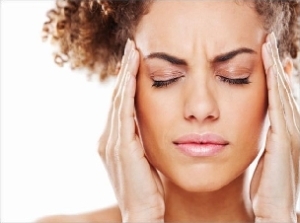 If you’re suffering from headaches after an auto accident contact our office for relief.